One of the biggest security manufacturers and integrators (Tyco) and one of the biggest building management providers (JCI) are combining. The two companies together will do over $40 billion in revenue. The combined corporate name will be "Johnson Controls" but the legal domicile (for tax savings) will be Tyco's HQ in Ireland. In this note, we breakdown their revenue, 'synergies' and a potential challenge from UTC. This is far more a reflection of Johnson Controls needs than a sign of problems in the physical security market. JCI's main business historically is the 'automative experience' market, which has its problems. Indeed JCI is spinning out its automotive business (Adient). Equally importantly, JCI is doing a 'tax inversion' here moving their legal domicile to Tyco's HQ in Ireland, which alone may generate hundreds of millions in profits annually. 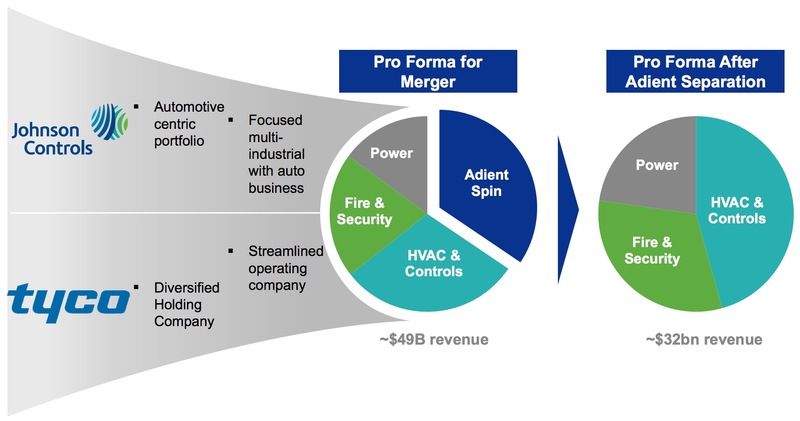 Tyco does ~$10 billion annual revenue (relatively flat) roughly split between ~$4 billion North America integration (i.e., Tyco Integrated Services), ~$4 billion Rest of World Integration, and ~$2.5 billion product sales (including Tyco Security Products). Of JCI's ~$37 billion annual revenue (also relatively flat), ~$10 billion of that is from building management, the rest from power and automotive. While Johnson Controls does some security system integration, it is a distinct minority of that revenue, with the core strengths being more in HVAC, air systems, refrigeration, etc. "The combination of the Tyco and Johnson Controls buildings platforms creates immediate opportunities for near-term growth through cross-selling, complementary branch and channel networks, and expanded global reach for established businesses." "The new company expects to deliver at least $500 million in operational synergies over the first three years after closing. These annual cost synergies are expected to be achieved by increasing efficiencies, eliminating redundancies, integrating the global branch networks"
This sounds reasonable. 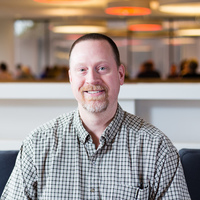 The main limitation we see is how powerful (or not) it will be to cross-sell HVAC / building management systems with video, access control, retail systems, etc. Building and security systems are generally bought and managed separately. In practice, though, we think selling all these products end-to-end will be challenging for most end users. When and if this merger is completed, Exacq will not only be owned by Tyco the integrator but JCI the integrator as well, posing even further concerns about channel conflict between these mega integrators and regular security dealers. "Mr. Molinaroli [JCI] will serve as chairman and CEO for a term of 18 months after the closing. At that time, Mr. Oliver [Tyco] will become CEO and Mr. Molinaroli will become executive chair for one year, after which Mr. Oliver will become chairman and CEO." Molinaroli has been in the news over the past few years getting scammed by a Ponzi schemer plus an affair with a company consultant triggering an explosive breakup with his wife, causing distractions for the company. "Integrating The Global Branch Networks"
One logistical impact is likely their proposed integration of branches, key to 'efficiencies' / cost reduction. Both JCI and Tyco have branches in most mid to large North American cities. Combining them and reducing 'redundant' personnel will surely save them money but is likely to be a painful and distracting process for the next few years as it is executed. "JPMorgan analyst Stephen Tusa says other bidders could emerge. United Technologies (UTX) may have interest in Tyco and could likely extract more value than Johnson from the lower tax rate"
UTC could clearly benefit from acquiring Tyco integration as well as the tax inversion benefits. I've been hearing rumors of JCI getting out of the security business for the last several months, so this isn't too shocking. Both JCI and Tyco are tired old-guard companies, this whole merger is a footnote in the current security industry trends more than anything. In another 5 years this new company will probably merge with some other remnant of a previous era and repeat the cycle again. I agree this is more financial maneuvering than industry disruption, though it may very well be worthwhile for them to make such a move, given the cost / tax savings possible. The merger will give both companies complementary skills and customers and will succeed. I think the trend will be to more and more systems that are large, communicate and are secure and this positions the new JCI with the right mix. As cameras become a commodity, how they communicate with the mother ship is the only differentiation that will work. If you put yourself in the shoes of those making the decision - it's the right one. P.S. : Selling tens of billions of product is significant. ...This...is more than year old news. Most of the impact from this merger has already been assessed and felt. This may be a little off-topic, but can anyone explain exactly how the tax inversion that results from moving to Ireland actually provides increased profits from the point of view of US-based owners (major stockholders) of the resulting merged company? Is there a way the money saved by lower corporate taxes in Ireland can get back into the US without additional taxation, or is this money simply never repatriated? I do not think the money needs to come back to the US for the shareholders to profit. 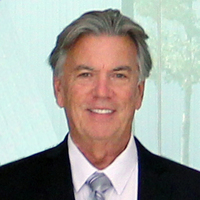 Shareholders profit primarily from stock price increases, not repatriated funds. "For the last twelve months the company's corporate tax rate was 29 percent -- Johnson Controls paid more than twice the amount the company would pay if taxed in Ireland. The tax savings would be substantial -- when using flat pre tax income of $2.2 billion and a corporate tax rate of 12.5 percent, we get to net income of $1.9 billion, which is about $350 million higher than the company's reported net income." Once this is finalized, would you consider TyControls to be a American company or an Irish one? I noticed that JCI yields 'Security' strength to Tyco, which is the only sane assessment, but I wonder what that means for JCI's security/access platform P2000? Notice the graphic (presumably stolen from the merger preso) has no PACS logos. Neither Software House or the P2000 are mentioned. Yet it's cool to have 2 and a half camera vendors on the slide. If UTC buys Tyco I will cry. Although if UTC can bring up Tyco instead of Tyco dragging UTC down it would be good. I think anyone who buys Tyco is in for a very rough ride and a rude awakening as to how they have alienated customers over the years. Is UTC about to make a hostile offer? I work for a UTC integrator, I wasn't around when they bought out GE's security stuff, but I feel like they brought that down, not up. Both US Democratic Presidential candidates have criticized this deal because it allows JCI to avoid taxes. Would you agree that this merger will create a company that is similar to Seimens in size and offerings. I have always viewed Seimens as a building systems manufacturer that plays around in the security industry. As an independent, I like the idea of two nationals becoming one, but we are also very heavily invested into Software House and Exacq, so I have my worries too. "Would you agree that this merger will create a company that is similar to Seimens in size and offerings." 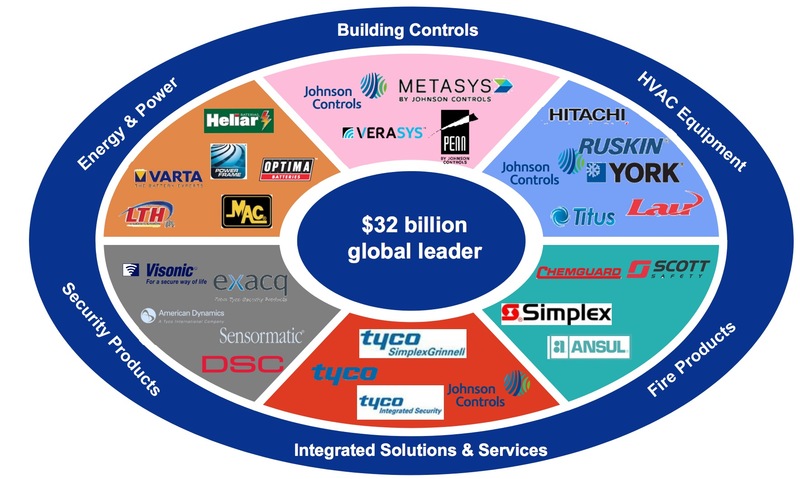 At least in North America, a combined JCI / Tyco security company would be far far larger than Siemens. 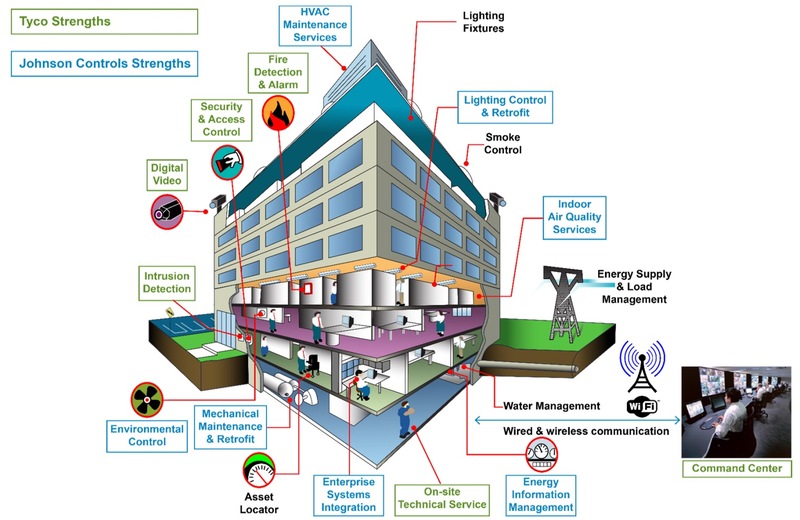 I thought the idea that building controls/automation and physical security were beginning to merge (or that it was even a good idea to begin with) had died long ago.